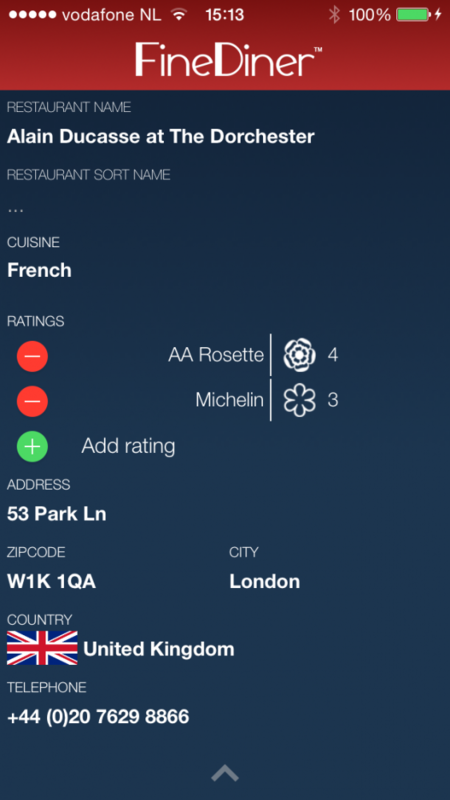 You can edit restaurant visit entries in the Visit screen, which you can get to by tapping a visit entry in the app’s main list. 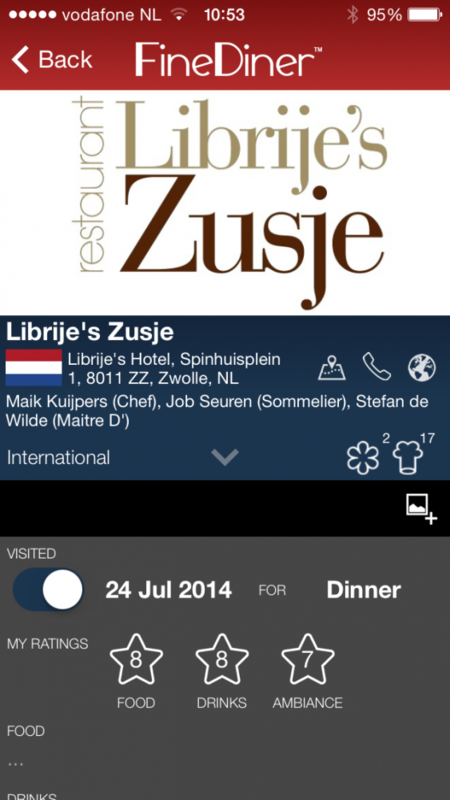 If you add a visit by searching our online restaurant database, a restaurant logo will automatically be provided. You can replace the logo (or add one for manual entries) by tapping the logo area at the top. Tap the arrow at the bottom of the blue area to expand it into a full screen panel where you can edit all information. The black bar is where you can add your own photos, e.g. of the menu, the courses, the wines, your friends, the restaurants interior or exterior, etc.. Tap the little “+” icon on the right to start adding pictures.